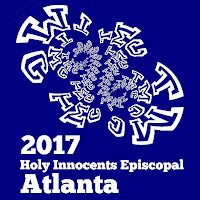 So before TMC17 we had Descon17. That is, the Desmos PreConference. Here a good chuck of the @Desmos crew were in town to show some of the latest stuff they are working on. I was thrilled to get help fro @Eluberoff on an activity I was having trouble with in the working session. 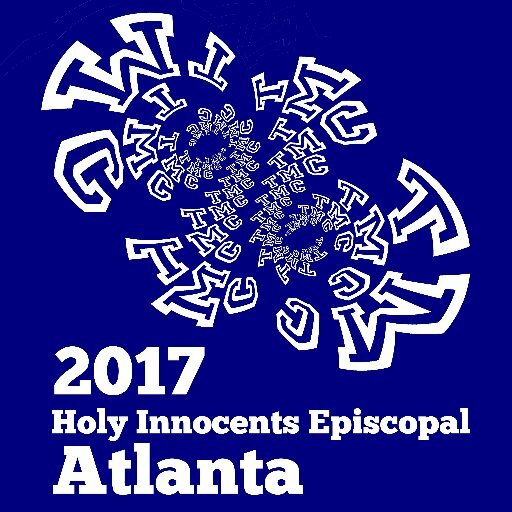 You can get some of the resources from the breakout session at the link below. My favourite was the Beginner/Intermediate/Advanced scavenger hunt. So good to hone your Desmos Calculator skills. One of the repeating sessions is something called My Favourite. Here people get up and do a "show & tell" of something short that they like. 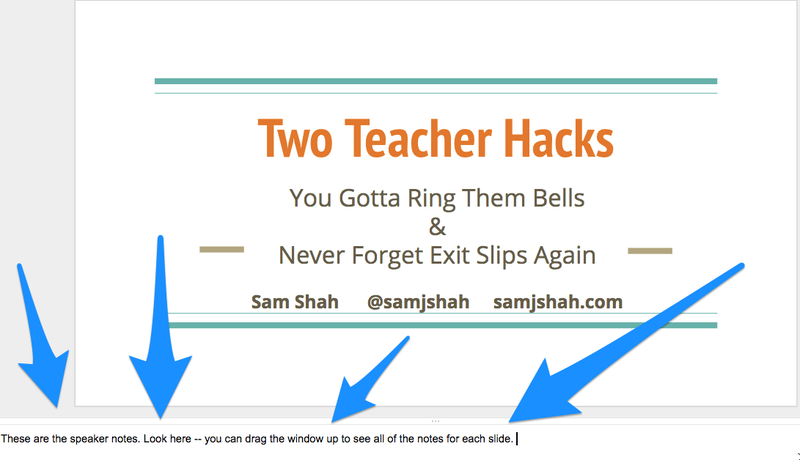 @samjshah had a neat idea of having students ring a bell when they have accomplished something to be proud of. See his slide deck here and read the speaker notes to get the gist. In @Jstevens009's My Favourite, he reminded us of all the ways that people on the Math Twitter Blogosphere (MTBoS) can share out their stuff. I went to a neat session from @mathgeek76 on developing calculus topics in early elementary school. 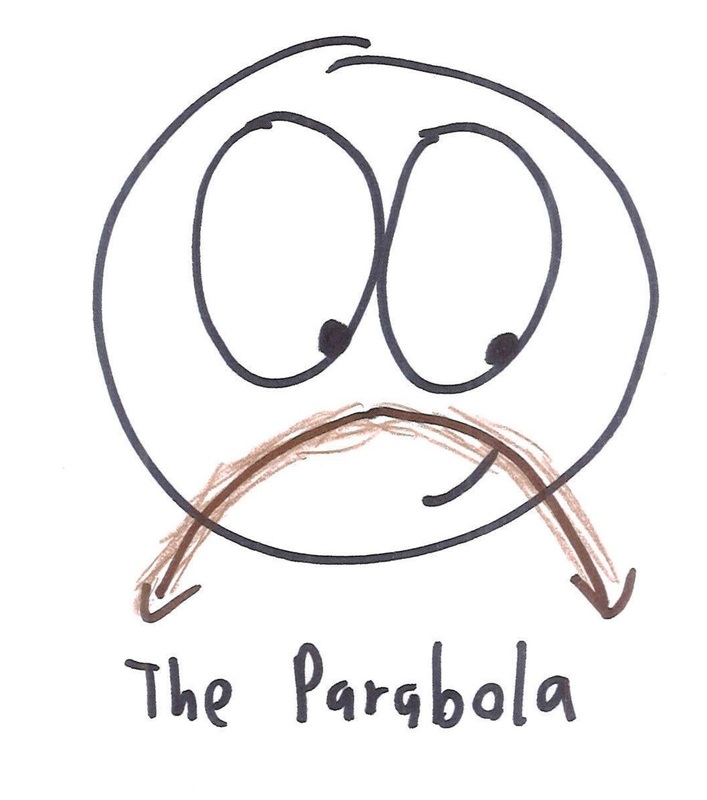 The neat connection that algebra was for when we had straight surfaces and calculus was when there were curved surfaces (IE real life) was pretty cool. I got some neat ideas on ways to simplify calculus concepts. One of the neat features of TMC is that the morning session is a two hour session that continues over three days (so 6 hours total). So you can go deep on one particular topic. 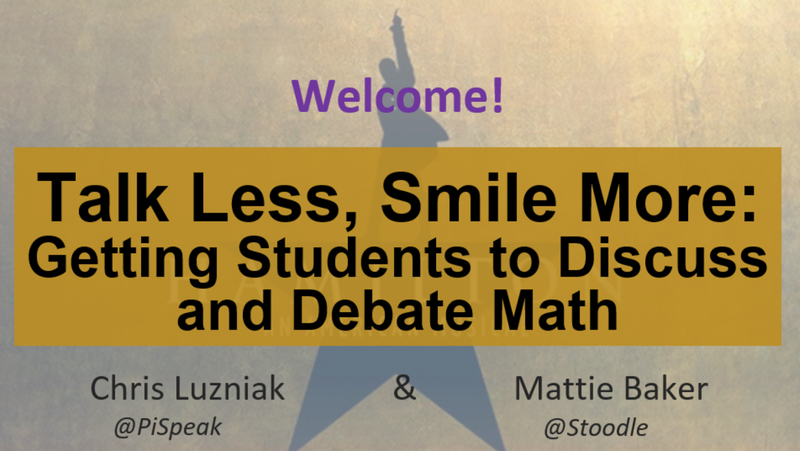 The one that I chose was about getting students to talk more (and you talk less) in class with @stoodle and @PiSpeak. Lot's of prompts to get kids talking like debate protocol and more. Check out all the slides and links below and follow the hashtag #talklessAM for some of the work and discussion that we had. I did a My Favourite too on some of the dynamic web sketches I have been making. They are all in one place and are meant to be little short things your students can do to practice skills. The My Favourite right after mine was by @JoelBezaire and he mentioned CODAP. 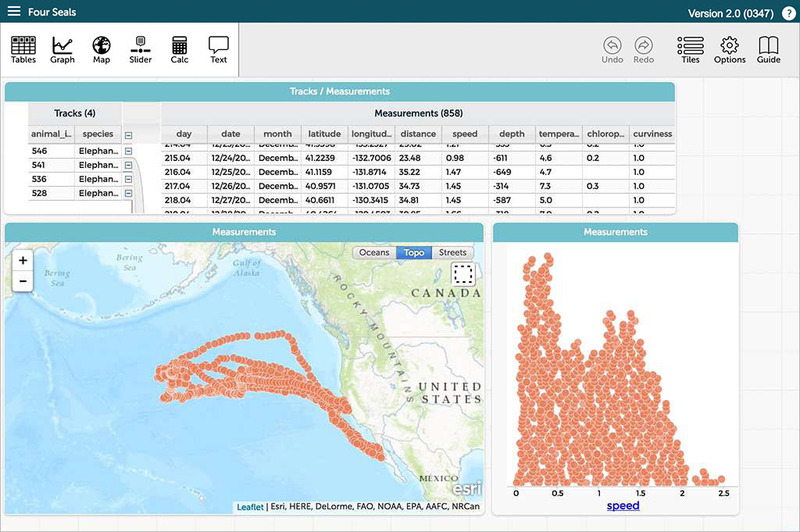 This is a free online statistical analysis tool that has connections to Fathom. So for anyone who is missing Fathom (it is basically not being supported anymore), this is the potential replacement. I can't wait to start to try this out and report back on how good it is. One of my web sketches was for making dynamic Escher Art. Thanks to @trianglemancsd we now know where you can get custom laser cut tessellated things made. In one of the @Desmos sessions, they showed some new features. Hear @jreulbach give's two quick screenshots of them. Some tips on why it's important to learn math. Thanks to @KMarkPet for pointing this one out. 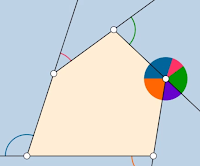 I love this series of dynamic sketches on exterior angles from @dynamic_math. 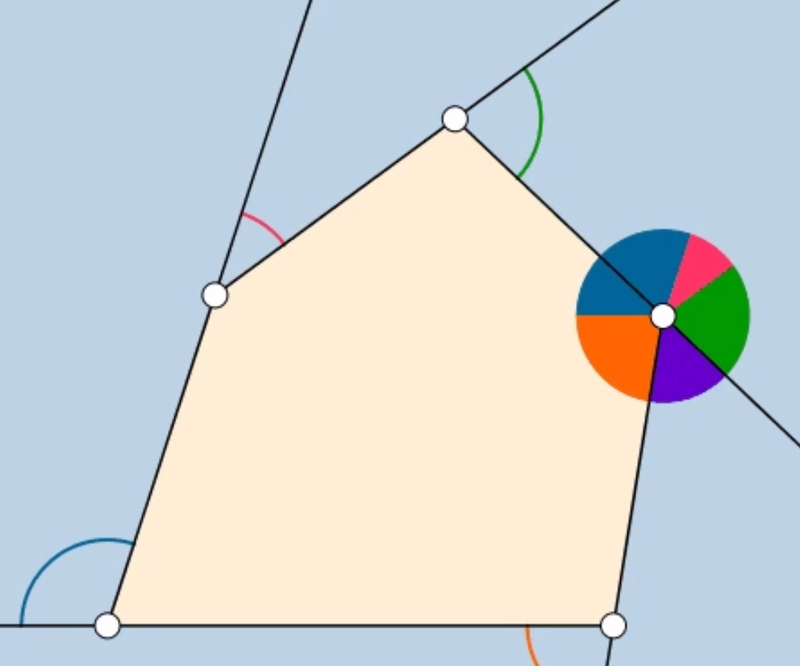 It's the visual nature that I like the most and the fact that you really get the idea of the fact that the sum is 360 (regardless of the polygon). I have done something similar here using Geometer's Sketchpad (I should turn it into a websketch) but I think I like the way this works better. I can't decide whether I like this or not. 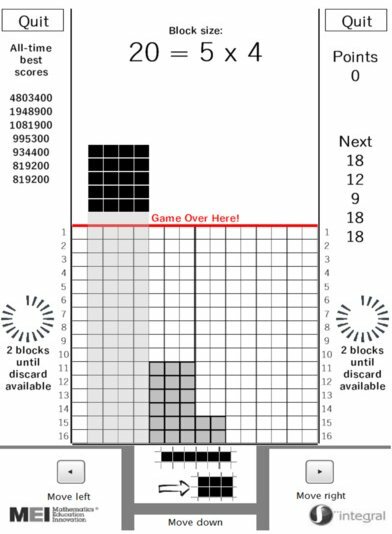 In some ways it reminds me of the old MathBlaster type games where the math was embedded in a game that already existed but as I played this Tetris game with embedded factoring, I just wanted to play more. Maybe that's because I used to love Tetris. 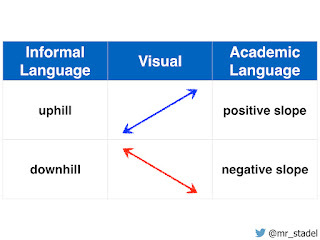 Thanks to @ddmeyer for pointing this one out. The idea that when you have student centred learning leads to pushback from students is not new. In my opinion a lot of that comes from students who find it easier to just be told what to do. I don't think they are actually learning better in that traditional setting but students like it because it is so passive. When you have student centred learning, they actually have to work. 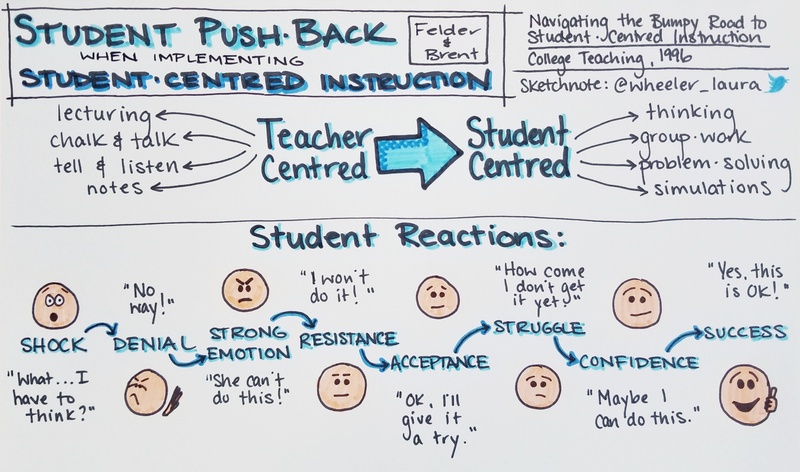 None the less, I like this sketchnote from @Wheeler_Laura on the topic. Follow the link for more details. 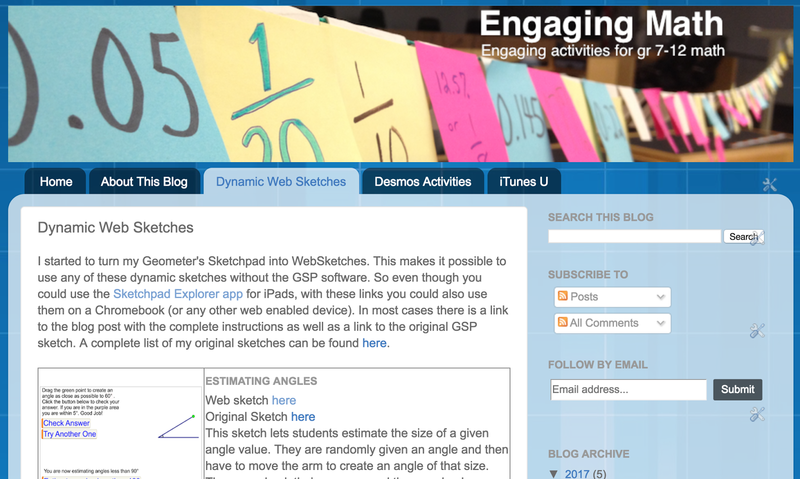 I have liked @Desmos' Polygraph from the get go. So it seems odd that it has taken so long for someone to take it offline. In this case it is @Mr_Stadel who has come up with a nice hack to do them online. And all it requires is some plastic sleeves and whiteboard markers. He's done Lines and Parabolas so far. Why not add your own? 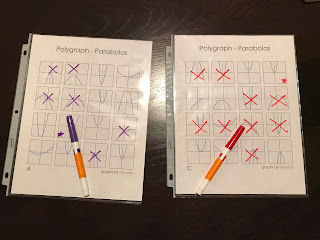 More tips from @Mr_Stadel on using Polygraphs in class. This time it's using the idea of a word bank to help students (and a list of "taboo" words that students cannot use). The idea is to help students use more academic language while using Polygraphs. And Finally from @Mr_Stadel's quest to maximize the use of Polygraph, he introduces the idea of a PolyGraph "Word Jar". Watch the video below and then follow the link for more info on how to use it. 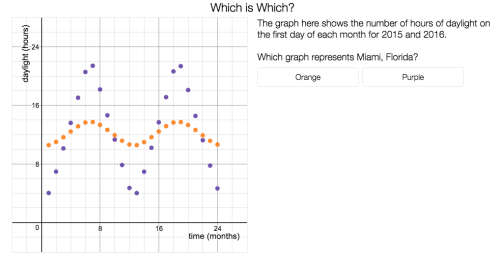 A few weeks back @ddmeyer and @Desmos came out with a Desmos activity on graphing points that dealt with fruits. 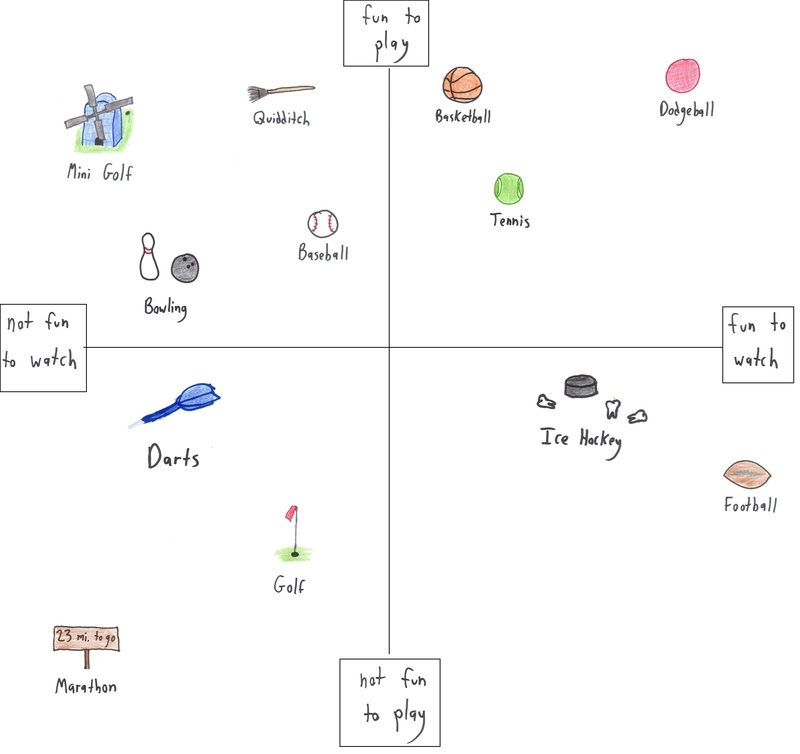 Not much later @BenOrlin created a bunch of his own images on various topics. Check them all out at the link below. 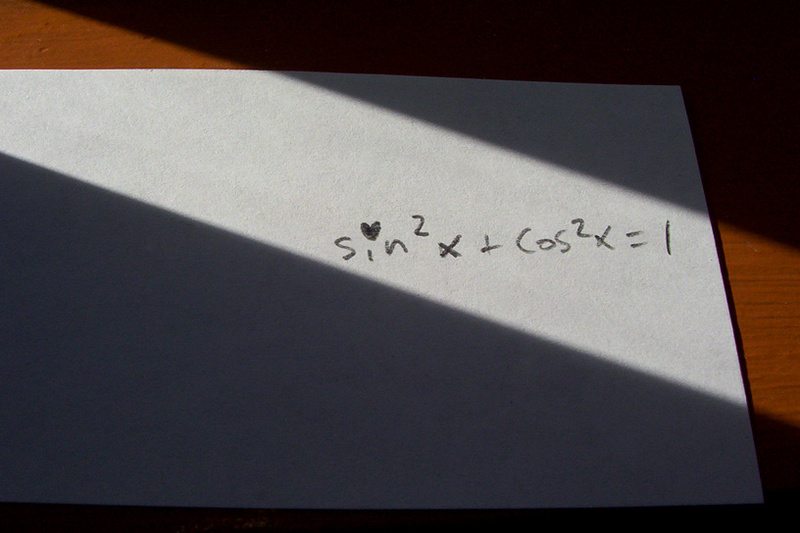 The next activity is for trig functions with a classic adaptation of the hours of daylight data. 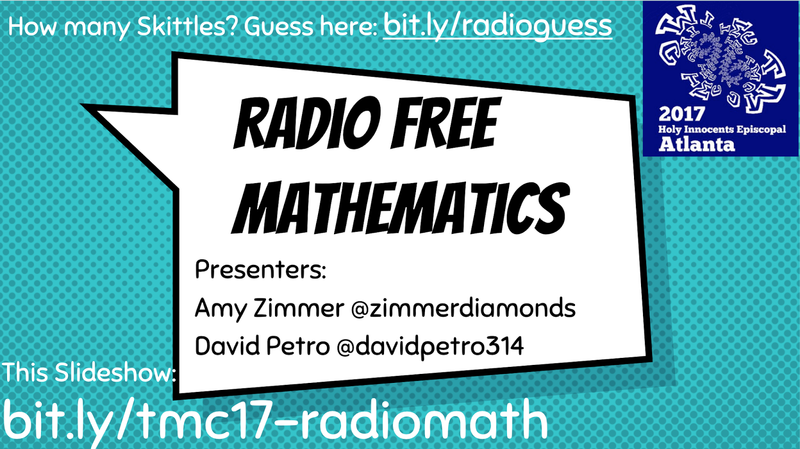 It's more than just making things fun or exciting for kids in math. 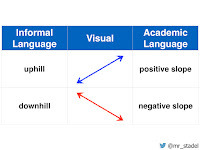 Students need to be emotionally engaged in what is going on. I feel like that is true for just about any subject but here are some ideas to help that process. Thanks to @KMarkPet for pointing this one out. Here's a nice quick video to deal with proportional reasoning (via bar graphs) from Dane Elhert. Click on the link below to have the answer revealed. It took me a while to figure out that this was hot sauce. But I guess the questions is, what math can you suggest with this?